NO PAYMENTS ^ & NO INTEREST Don’t wait any longer, you could get the Husqvarna you want today with 600 DAYS NO PAYMENTS & NO INTEREST^ ! ^ Available in-store only until 31/07/19. Minimum spend $399 and over. Lending criteria, fees, $50 annual account fee, $55 establishment fee or $35 advance fee. T&C’s apply. See page 16 for full details. AUTOMOWER® FROM ONLY $ 2,499*! 299 refers to model 120 Mark II. See page 2 for details. HUNDREDS OF * PRIZES TO BE WON ! Features X-Torq® engine technology for low emissions and Air Injection™ that keeps the filter clean. Low kickback cutting equipment for increased safety. Easy to use chainsaw for homeowners, with ample power to make light work of pruning tasks and cutting firewood. Ideal for lighter cutting tasks and hobby work, this saw features an ergonomic design and a powerful X-Torq® engine. Powerful all-round saw for people who value professional qualities in a saw. Easier handling with tool-less chain tensioner. A lightweight, powerful and efficient chainsaw, ideal for those looking for a saw that is exceptionally easy to start and manoeuvre. Excellent all-round saw that combines performance with fuel efficiency. Ideal for cutting firewood and general maintenance on the land. H 120i BATTERY CHAINSAW A lightweight, easy to use battery powered chainsaw ideal for home pruning tasks and cutting small branches. Featuring a brushless motor with savE™ mode for reliable performance and longer running time, no direct emissions, plus low noise levels that won’t disturb the neighbours. B  ATTERY PERFORMANCE Gives you all the power you need, minus the noise, fumes, and fuel consumption. EASY TO USE Every product in the range is easy to use, lightweight and designed for comfort and productivity. Ideal for professionally oriented users who want a lightweight, instant start chainsaw, with excellent ergonomics, high performance and high chain speed. SMART AND INTUITIVE The Husqvarna battery range is operated using an interactive keypad. Start and stop by the push of a button. The legendary 572XP® enables faster work with extreme acceleration, high power over a broad rpm range, best in class cutting capacity for peak performance, state of the art air filtration system and C85 X-CUT® saw chain for superior cutting. Reliable workmate for landowners with more power, less fuel, lower emissions and reduced vibrations. Features Smart Start® and fuel pump for easy starts. An ideal saw for landowners and those who require a high powered, heavy-duty and responsive chainsaw for all cutting conditions. H HOMEOWNER Medium Duty Seasonal or occasional use. Designed for demanding jobs on the land, where more power is required for cutting with a longer guide bar. The X-Torq® engine delivers high torque over a wide rpm range that won’t disappoint! L LANDOWNER Heavy Duty Frequent or demanding use. P PROFESSIONAL Extreme Duty All day, every day use. Top handle chainsaw design specifically for tree care and pruning tasks. Offers great balance combined with high power and low weight. Commercial chainsaw designed for the high-end top handle saw segment, targeting professional customers. Excellent cooling capacity and state-of-the art filtration means great performance and easy operation even for the toughest jobs. WHILE STOCKS LAST! With a ground breaking design and loaded with innovative solutions for efficient, convenient operation, the 562XP® is the perfect fit for both professional users and skilled landowners. Professional chainsaw offering high levels of torque for larger bar lengths when cutting hardwoods. Developed for the toughest cutting jobs, yet also built for easy starting, handling and servicing. Powerful, durable and easy to manoeuvre, 50cc chainsaw with excellent performance and cutting capacity. A modern large XP® chainsaw with a very powerful engine. Performance and vibration damping are dimensioned for sawing jobs that require longer cutting equipment. Excellent cooling capacity and state-of-the art filtration means great performance and easy operation even for the toughest jobs. One of the world’s most powerful saws. Built for professionals who cut the largest diameter timber and extremely hard types of wood. Good ergonomics and excellent power-to-weight ratio. An agile and light weight battery powered pole/ clearing saw with truly professional performance. Offers high chain speed plus balance, lightness and low vibration. Battery operated pole saw offering maximum performance and durability with low weight, excellent ergonomics and quiet operation for use in any location at any time of day. A professional, petrol-powered pole saw with telescopic shaft offering long reach, excellent ergonomics and superior balance to help you achieve high-end results with minimum effort. Well-balanced and easy to use. Perfect for use around the home. Trimming lawn edges around the home is simple with this easy starting grass trimmer featuring low weight and low noise. Low weight, high power and easy to use. Ideal for a quick clean up around the house. INCLUDES VAC KIT! Prune hedges quickly and easily with this lightweight, low noise hedge trimmer. A multi-purpose tool that features a powerful engine and can easily be equipped with a number of pro-quality tools. ATTACHMENTS FROM $339 Refers to Edger. See in-store for details. Well-balanced, comfortable and efficient professional battery blower. The machine’s low noise level allows you to work in the most public of settings. Designed for use with Husqvarna Battery products, the Battery Belt FLEXI system is ideal for comfortable, productive working far away from an electrical outlet. By putting the weight on the user’s waist rather than the arms, it reduces fatigue for longer run-times and more efficient working. It allows you the ability to carry spare batteries, oil, water and accessories easily wherever you go. Self-propelled, easy to use mower with dual battery slots for use with one or two batteries. Bluetooth connectivity. Convenient push-button start mower. No need for fuel or cords. Efficient and compact cutting deck. Optional Mulching Kit available. Highly efficient pole hedge trimmer with 3.5m reach. Remote adjustment of cutting head angle and economy savE™ mode. Looking for that perfect lawn? 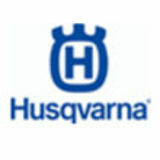 With a lawn mower from Husqvarna you can rely on getting excellent results with less effort. Easy to start with a durable alloy cutting deck delivering high performance cutting & collection. Self-propelled lawn mower with rear-wheel drive and alloy cutting deck for easy lawn maintenance. Professional lawn mower with alloy cutting deck, four stroke engine and four cutting blades. High capacity tractor with ClearCut fabricated cutting deck, for superior cut quality, and automatic diff lock for superior traction. Premium mid-range lawn tractor with high performance engine, automatic diff lock, and side ejection cutting deck, delivering top class results. For those with bigger blocks looking for more power. Pedal-operated transmission, cruise control and automatic diff lock for superior traction. Ideal for homeowners and landowners with larger gardens who need a durable and comfortable ride on lawn tractor with high manoeuvrability. LIMITLESS CUTS ZERO TURNS With its wide cutting deck, high cutting speed and the ability to turn on its own axis, the Husqvarna ZTR® Zero Turn Mower will bring professional results - effectively, quickly and easily. With cutting edge design, proven performance and innovative features, the Husqvarna Z246 Zero Turn mower is perfect to manage home acreages. Easy to start, simple operation and proven performance. Packed with features including high performance Clear Cut™ fabricated cutting deck, removable foot plate, rear engine guard and Anti-slip foot area. With a compact size, ClearCut™ fabricated deck and high performance, the MZ48 is a dependable partner for landowners and professionals. The Husqvarna R216 is an efficient Rider suitable for homeowners who require high efficiency, ease of use, superior manoeuvrability and a truly enjoyable ride. The 94cm Combi cutting deck offers the versatility of first-class BioClipÂŽ mulching and rear ejection cutting modes. Easy to use, versatile rider provides smooth operation and efficient mowing results. The impressive V-twin engine, power steering, efficient cutting deck and allwheel-drive combine to make this rider unbeatable. Innovative design offering effectiveness, efficiency and ease of use. Anti-clog collection system feeds from the front mounted deck to the collector. Tough, versatile rider with innovative anti-clog collection system, power steering and AWD. Intuitive controls, excellent ergonomics and huge collection capacity. LESS WATER MORE POWER Husqvarna pressure washers can take on just about any space outside where dirt and dust has gathered. Add a complete range of accessories, and you will always have full control over the work. Our most compact and lightweight model, ideal for easy and convenient cleaning of patios and garden equipment. Supplied with: 7m hose, foam sprayer, variable flat jet and rotary nozzles. All-round, high-pressure machine. Ideal for most cleaning tasks around the home. Supplied with 8m hose, foam sprayer, variable flat jet and rotary nozzles. High performance and robust machine, ideal for demanding jobs. Features a Low Force grip for easy activation. Supplied with: 10m hose, foam sprayer, variable flat jet and rotary nozzles. Top of the range, high performance with outstanding durability. Features a brass pump and integrated detergent tank. Supplied with: 15m hose, variable flat jet and rotary nozzles. The original yard robot for small, flat lawns. It works when you want it to - day or night, even when you’re away for work or on holidays. Prices refer to units only. Installation kits sold separately. Installation cost apply. Ideal for homeowners with large, complex lawns. The GPS-assisted navigation ensures no area is left untouched & the Automower® Connect app gives you total control in the palm of your hand. The most advanced Automower® on the market. Smart enough to negotiate multiple passages, obstacles, tough terrain and slopes up to 24°. Keep your lawn green, healthy & perfectly mowed. Give yourself the perfect lawn and more free time. Ideal for small to medium sized yards. No payments and no interest for 600 days (“Payment Holiday”) is available on Flexi Payment Plans for in-store purchases only until 31/07/19. Minimum spend $399. Annual Account Fee of $50 applies. New Cardholder fee - $55 Establishment. Existing Cardholder fee - $35 Advance. Standard Interest Rate, currently 25.99% p.a. (Q Card and Q Mastercard) or 22.95% p.a. (Flight Centre Mastercard) applies to any outstanding balance at end of Payment Holiday. Lending criteria, fees, terms and conditions apply. Rate and fees correct as at date of publication, subject to change. Mastercard is a registered trademark and the circles design is a trademark of Mastercard International Incorporated registered trademark and the circles design is a trademark of Mastercard International Incorporated.